The numbers of children going into care in Wakefield are likely to keep rising, a senior council worker has warned. 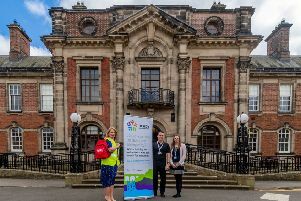 Dean Howson, Wakefield Council's service manager for looked after children, said that reviews of previous cases and young asylum seekers coming into the district from abroad were the main factors behind the increase. Millions of pounds has been invested into the local authority's children's services after Ofsted said they were failing vulnerable youngsters in a report last year. Speaking to at the council's Children and Young People Committee meeting yesterday (Wednesday), Mr Howson, however, insisted that the help being offered to the district's children in care had improved. "We're a world away from where we were a year ago," he said. But Mr Howson added that the council had to keep meeting increasing demand and said that revisiting historic cases had meant an increase in workload. "We've got a growing number of children coming into care and that will continue for the foreseeable future," he said. "It's not unusual after an Ofsted inspection for anxieties to be had and for some cases to come back to us. "If some cases in the past have not progressed as they should have done we've maybe got to go back, look at those again and do something different." Mr Howson said that a regional strategy was in place to cope with young asylum seekers, but that the authority had a responsibility to anyone who arrived in its "geographical patch". "Sometimes we find that those children have arrived in different parts of the UK before they come to Wakefield," he said. "Sometimes that local authority [that they arrived in] has not been as quick as they should have been in trying to help them. "If they come here it's right that we look after them."